Moonshine isn't the only game in town in East Tennessee. 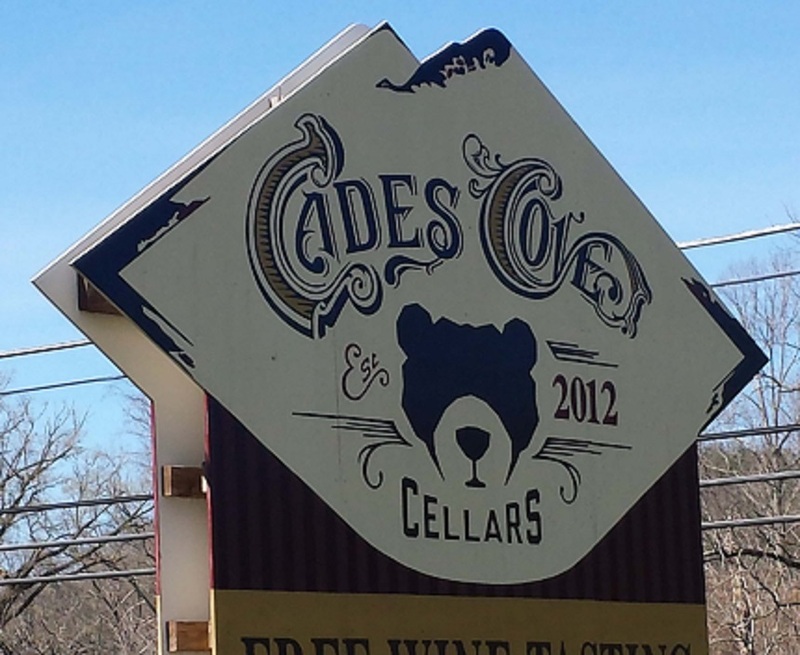 Wine has gained traction west of the Smokies with over a dozen operating east of Knoxville. 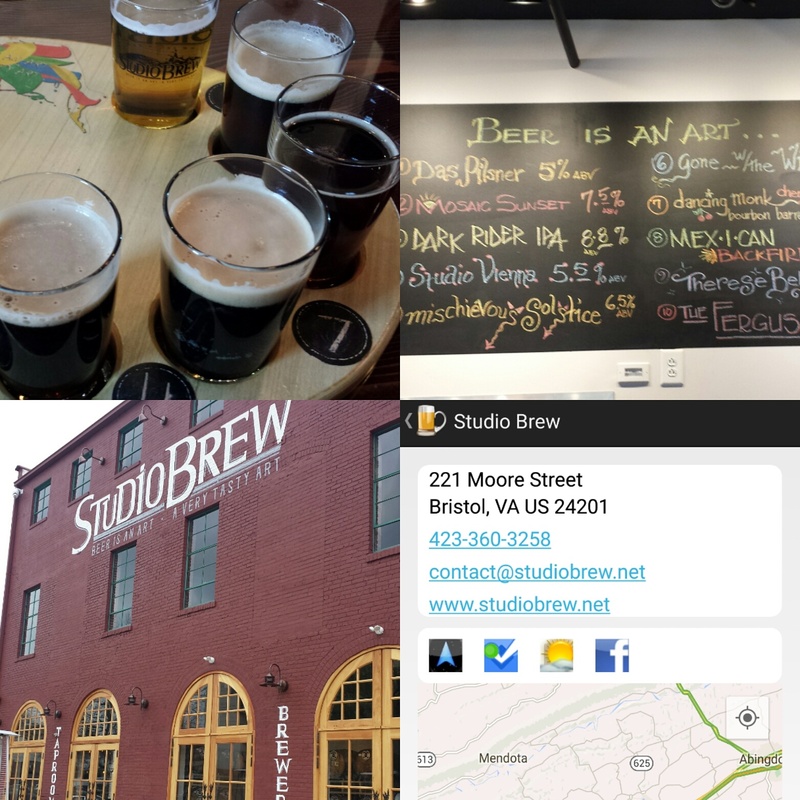 There's even The Rocky Top Wine Trail to guide you to five of these; although we still prefer the theCompass Winery, Brewery, Distillery Locator Mobile App. During a recent trip I was able to sample wine from three Tennessee wineries and yes, a majority of them are sweet. There's plenty of fruit wines, muscadine wines, hybrids, labrusca, and blends of all kinds. When vinifera did surface, the wine was usually made from left coast grapes -- although there was one wine that included locally grown Viognier. In general, the wines I sampled were well made and included several pleasant surprises. 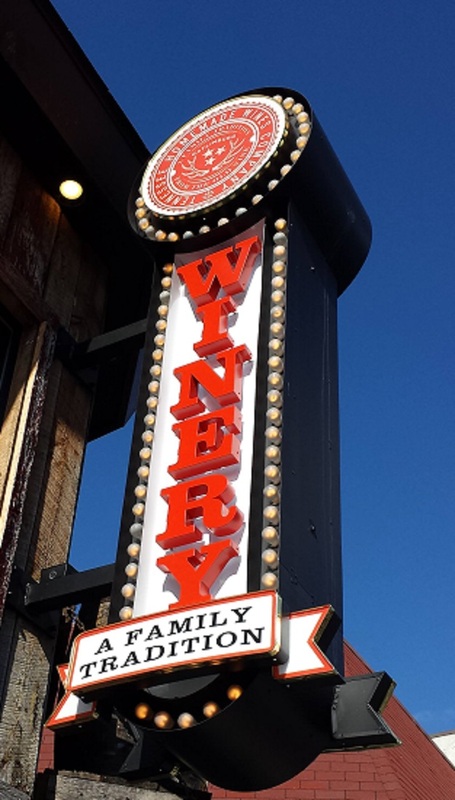 Three wineries operate in the tourist mecca of Gatlinburg. We visited two starting with Tennessee Homemade Wines. As the name suggests, the family has been making homemade wines for over 100 years and the current batch consists of fruit, muscadine, and the world's most popular white labrusca grape Niagara. This wine wasn't bad, well made, just too much muskiness for my tastes. 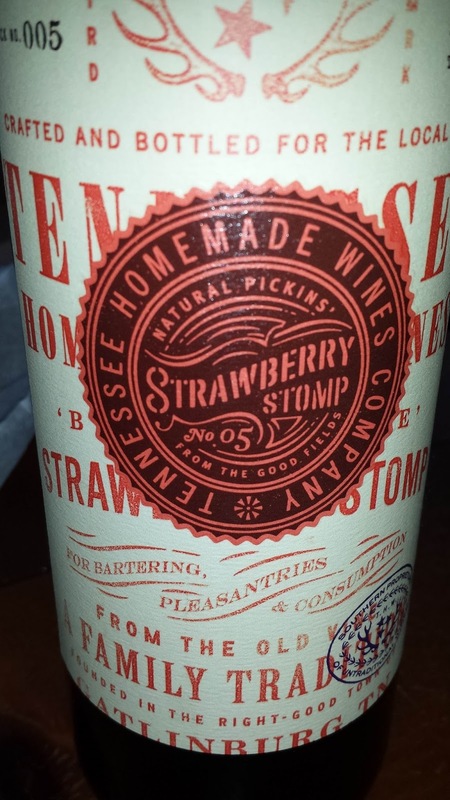 When in doubt, the Strawberry Stomp is excellent - comes across light and dry - and could pass for a dry rose. Well, maybe not completely - but close enough. 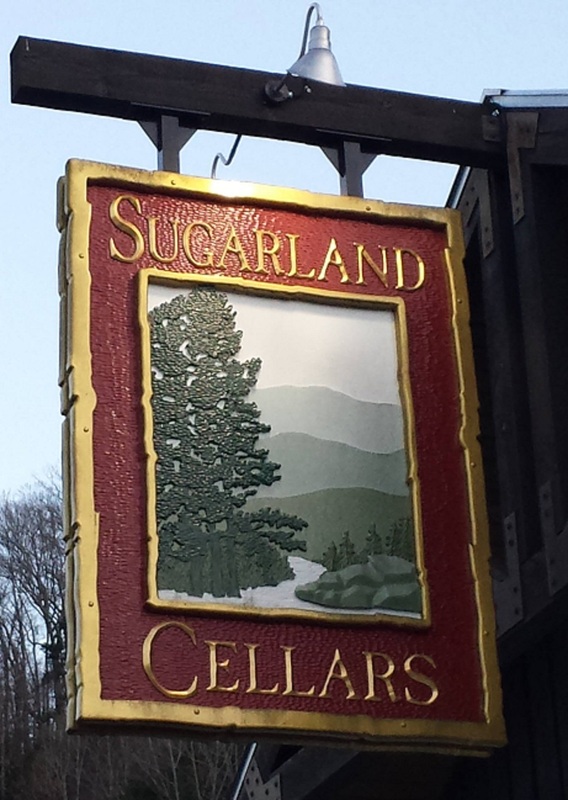 Sugarland Cellars was the second Gatlinburg winery on our agenda and provides a more traditional wine tasting experience with tours of the winery's operation. There's a plethora of unique choices from blended muscadine to fruit wines to sparkling Cayuga-Niagara - the Bliss. For fruit wines there's a sweet Cherry – Kee, but you have to try the Loganberry - a cross between a blackberry and a raspberry. And tasty. The Century White was my favorite - a blend of local Seyval and Viognier, blended with Washington state Riesling and more Viognier from California. Townsend is another entry point into the Smokey Mountains - about 20 miles west of Gatlinburg. Cades Cove Cellars is a nice post park excursion since alcoholic beverages are not allowed into the national park. Overall this was my favorite winery stop with all the wines getting positive reviews from our party. For whites, they produce a nice Riesling using Washington State grapes and a Seyval based Nature Excellence Bliss Adams Fall White. Our companions enjoyed the muscadine based Rustic Cabin Red and we all enjoyed their dessert offerings - particularly the excellent Red Raspberry. We had planned a trip to the Tennessee side of the Smokey Mountains not realizing that one of the entrances, Gatlinburg, is the equivalent of a seaside boardwalk. The main street includes a rather intriguing aquarium, miniature golf, sweet shops, stores, tourist traps and plenty of distilleries. Many times I heard the phrase "Disney for Adults". Unlike the Commonwealth there are no limits to shine tastings and each distillery provides a bit of entertainment - from the comical tasting staff to live music. These distilleries are all withing walking distance and more importantly distill their products on site; and in most you can see the shine or whiskey being distilled. 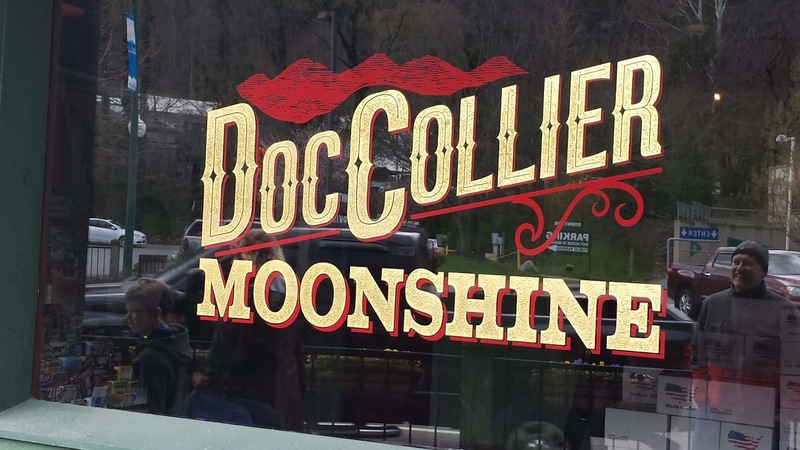 The Doc Collier Moonshine Distillery is based on the moonshine legend William "Doc" Collier's corn and sugar shine recipe. They claim to be the only Certified Craft Distillery in town and promote the pure English Mountain spring water. The spirits are only single distilled and the flavored shines utilize strictly juices and no artificial flavors and extracts. Thus, the straight shines were rather harsh - spicy with plenty of burn. Yet the flavored were quite good - even though I normally shy away from that style. The produce the always popular Apple Pie, Sweet Tea, Blackberry, Peach, Cherry, and Firecracker. 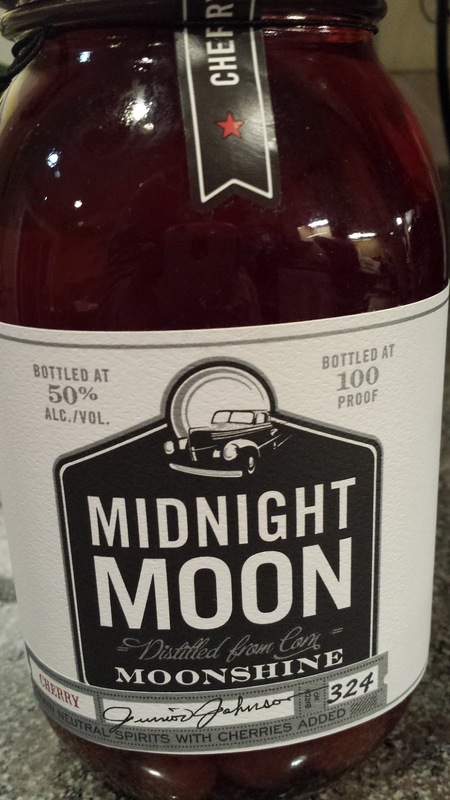 The Peach and Blackberry were excellent with the former perhaps the best flavored shine I've tasted. 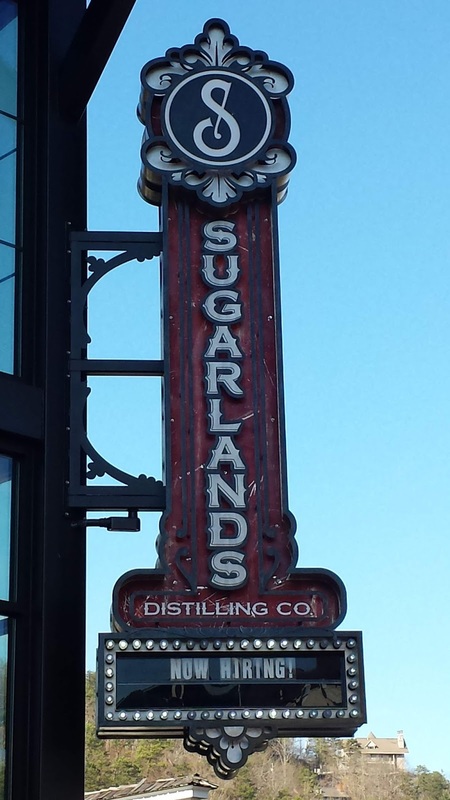 I had the best experience at Sugarlands Distilling Company with James leading our group through a hilarious tasting. The distillery produces over a dozen mostly flavored shines many based off recipes from the Discovery Channel's Moonshiners series. For instance, there's Tickle’s Dynamite Cinnamon, Mark Rogers American Peach, Mark & Digger's Rye Apple, and Jim Tom Hedrick’s Unaged Rye. In addition, their Appalachian Apple Pie is probably the best offering. I went home with Jim Tom's shine - basically being a fan of the series. 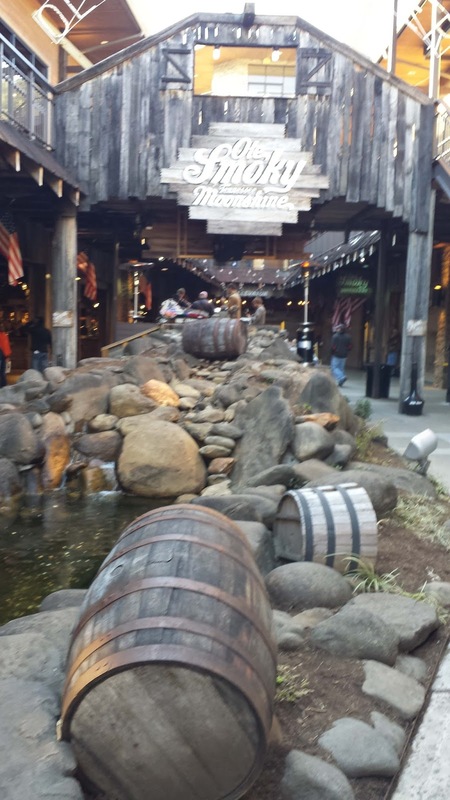 Ole Smoky Moonshine operates two distilleries in Gatlinburg, "The Holler" and the Ole Smokey Barrelhouse - where the Ole Smoky Whiskey is made and laid to age. They claim that the Holler is America's most visited distillery and you've probably seen the distillery's television commercials. The staff was friendly and entertaining at both locations and at the Holler we listened to live music when tasting. Ole Smoky produces a plethora of flavored moonshine and whiskey - many that are only available at the distillery. I wasn't particularly a fan of most of these with the exception of the Mountain Java. For some reason that one spoke to me. I was also pleased with their straight shines, the Original (100 proof) and Blue Flame (128 proof), both clean and smooth at such high alcohol content. 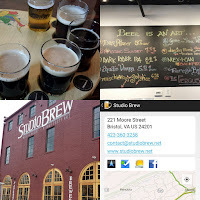 I've been attending the Bristol Rhythm and Roots Reunion annually for the past few years and have always wondered when the Virginia craft beer movement (#VABreweryChallenge) would hit that city. Two years ago I saw signs of an awakening and it looks like there are now two breweries operating within the festival's parameter. 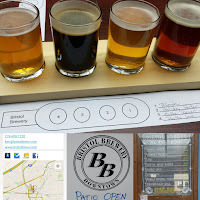 On Piedmont Street adjacent to the festival's Piedmont stage, Bristol Brewery (#33) operates a 10 barrel brewing system. On this visit there were 12 beers on tap, eight standard and four seasonal. 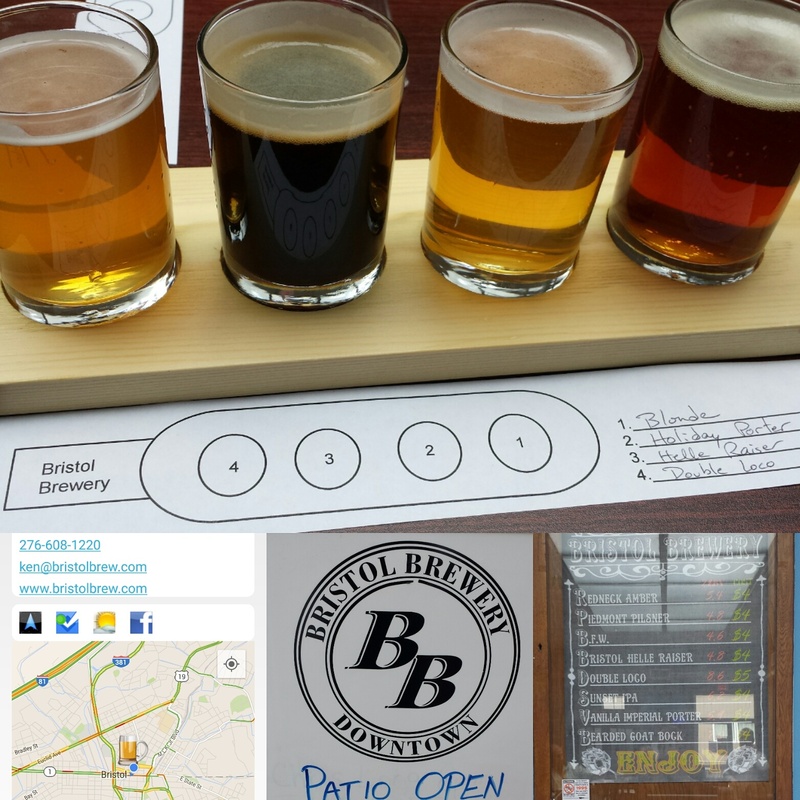 My sampler included the Piedmont Pilsner, Barefoot Blonde, Helle Raiser Lager, Double Loco IPA, and Holiday Porter. The last was a little too holiday spicy for me, but the remainder were solid beers. The pilsner, blonde, and lager were all fresh and clean with a nice balance of hops and when appropriate salty minerals. The Double IPA was smooth - not overbearing with hops. My companion preferred the Sunset IPA (clean and citrus hoppy) and that's what we chose to fill the brewery's jug-like growler. Looking forward to hanging out at the brewery's outdoor patio during BRRR performances. In recent festivals the organizers have expanded the festival grounds to include Cumberland Square Park where Studio Brew (#34) is now located. Their motto is "Beer is an Art" and is filled with an art - photo studio theme. The beer styles are more aggressive and experimental but I started with a basic - the Das Pils. This is a nicely made beer - one of my favorites - with balanced minerals, salt, and hops. My sampler also included the Mexican Backfire, a lager augmented with agave, but the agave is very subtle - wishing there was a little more. The King's Porter is a standard light toffee porter and the IRA Hop Bomb a clean hoppy IPA. The most aggressive beer was the Dancing Monk Barrel, a Belgium Specialty Ale aged in used bourbon barrels. The bourbon's presence is noticeable throughout from the aroma to the burn at the finish. This is easily the most bourbon infused beer I've tasted - drink last because all other beers will taste weak and dull afterwards. Cheers to Beer as Art. 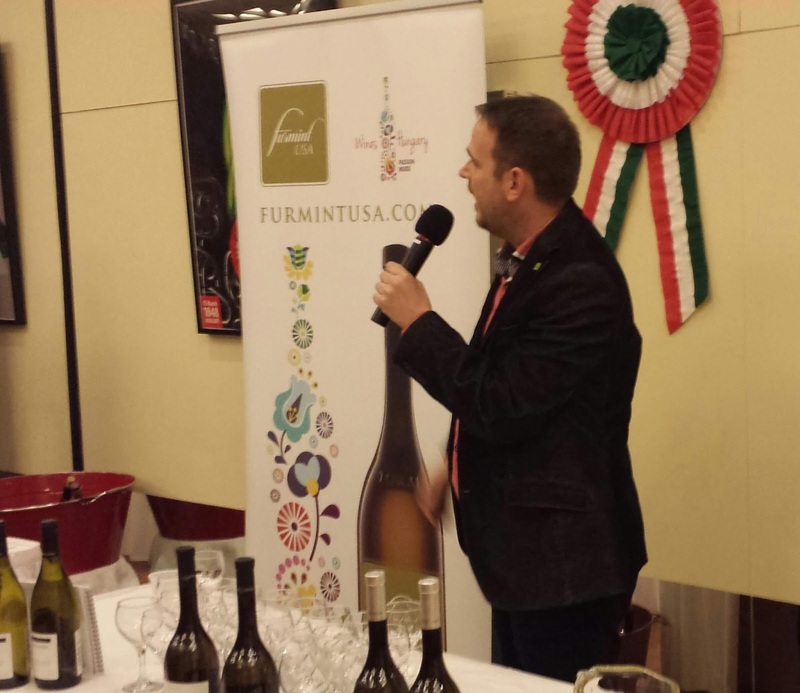 This month Furmint USA conducted a ten day marketing blitz in NYC and Washington DC showcasing Hungary's signature white grape Furmint. Most wine consumers are unwittingly familiar with the grape through its use in the prestigious Tokaji Aszu dessert wines. 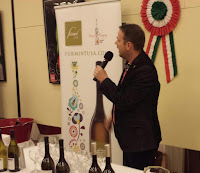 As the name suggests, Furmint dominates the Tokaj region which was the world's first appellation control designated long before Bordeaux and even Port wine. The region is rich in volcanic soil with the plateau protected by the Carpathian Mountains. 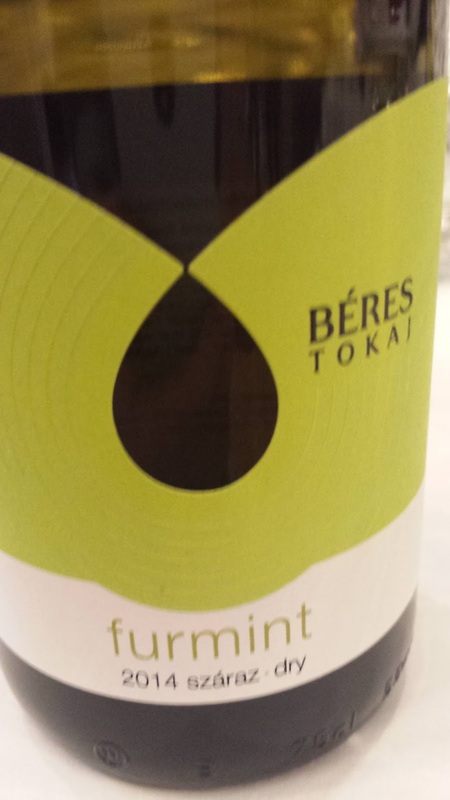 We started with the bright and acidic Béres Vineyards and Winery 2014 Estate Furmint ($19) which also possessed a hint of minerals drawn from the volcanic soils. That was soon contrasted to the Barta Winery 2012 Old King Furmint ($38) a creamy and velvety wine with an interesting orange citrus profile - as opposed to the more common lemon profile. Winemaker Attila Homonna was present to describe the Burgundian fermentation process using neutral oak barrels for fermentation and 7 months aging. This wine represents the historic Old King Vineyard where grapes have been planted since the 13th century. Gróf Degenfeld Winery provided an off-dry style of Furmint through their 2013 Estate Furmint ($18) which like a well made Riesling, balances the extra sugar with abundant acidity. And their tasty 2014 Zomborka Furmint is produced from organic grapes harvested from the Zomborka Vineyard. 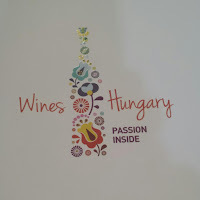 Before the tasting I was most familiar with the dry Furmint wines from Erzsébet Cellar - having sampled their wines during previous media tastings in while in Budapest. Thus I was excited to meet winemaker Miklos Pracser Jr. who along with his sister Hajnalka operate the winery with their parents. Their 2012 Estate Vineyard ($21) has been a frequent visitor to my wine glass and is dry, show fresh lemons, and has an extraordinary long acidic finish. I returned a second time to the 2012 Zafír Furmint ($25) which possessed a stronger bouquet and rounder profile - most likely from the addition of some Hárslevelű. This single vineyard wine was my favorite of the evening. 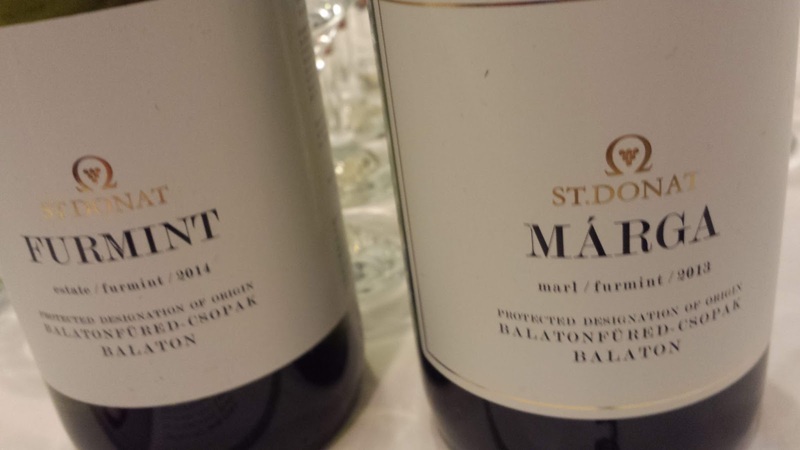 The one non-Tokaj producer was St. Donat Estate which is located in Csopak overlooking Lake Balaton. This region provides clay and limestone soils and a unique micro-climate provide by lake affect conditions. 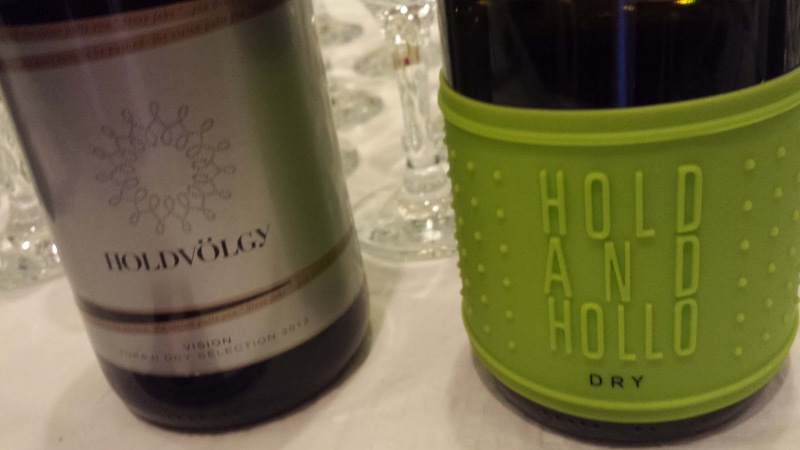 Their soils vary with the 2013 Márga Furmint ($24) raised in clay infused marl and the 2014 Estate Furmint ($20) grown in limestone. The former is a beautiful wine, creamy & mineral driven with a long finish. The later is on the brighter side, with more green apples than most of the assembly. 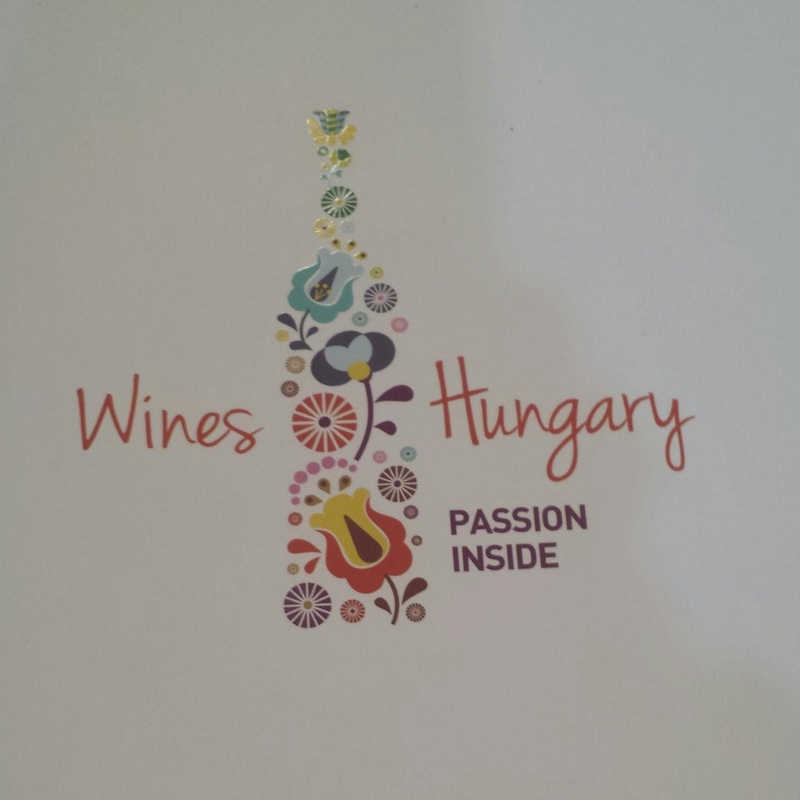 There were also sweet wines represented by the Barta Winery 2013 Szamorodni Sweet Furmint ($47) and the Basilicus Winery 2012 Szamorodni Sweet Furmint ($30). Szamorodni refers to "édes" wines made from botrytised grapes and like this wine capture the apricot aspect of Aszu wines without the higher price tag. 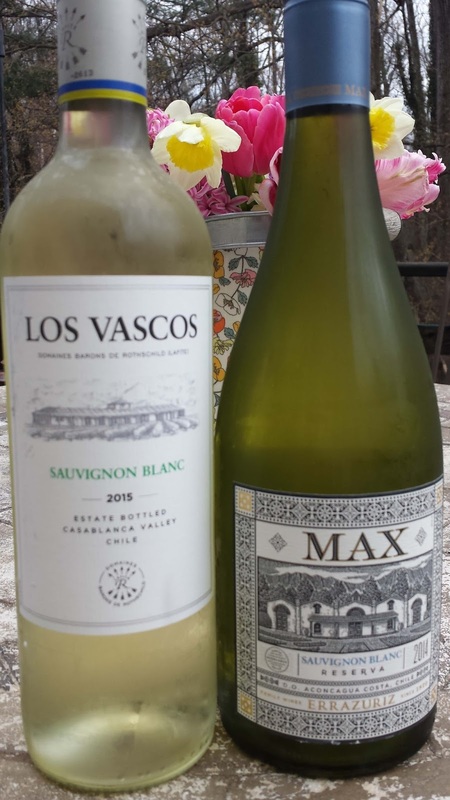 Los Vascos Sauvignon Blanc 2015 ($9, 13.5%) - Les Domaines Barons de Rothschild purchased Los Vascos (The Basques) in 1988 and sources these grapes on long term contracts from growers in the Casablanca and Curicó regions. Both are cool climate regions with large diurnal temperature swings enhancing acids and allowing for prolonged fermentation. In fact, according to Jancis Robinson, Chile's Casablanca wine region has the potential to become synonymous with Marlborough, NZ pertaining to Sauvignon Blanc. The wine is a tremendous value and delicious regardless of price. It is bright, with both lemon and lime character mixed in with some peachy stone texture. The finish is fresh and acidic. 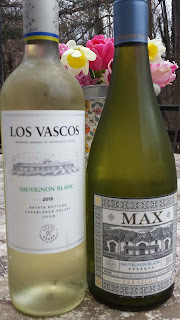 Errazuriz Max Sauvignon Blanc Reserva 2014 ($16, 13%) - MAX brand honors founder Don Maximiano Errazuriz who started the historic Viña Errázuriz in 1870. The winery is located in the Aconcagua Valley - at the foothills of Mount Aconcagua, the highest peak in the Andes and for that matter, the Western Hemisphere. The vines for this wine were first planted in 2005 by the 5th generation Errazuriz in the Costa region, a cool climate area just eight miles from the Pacific Ocean. This wine is aged three months on it's lees, providing some texture and creaminess that blends seamlessly with the inherently strong lime and herbal flavors. And like the Los Vascos, there is crisp finish provided by the abundant acids. Third generation winemaker José Moro returned to a virtual setting to showcase three wines from Cepa 21 Winery, the sister winery to Emilio Moro Bodegas. Like it's sibling Cepa 21 is located in Ribera del Duero D.O., the highest appellation in Spain. Despite the elevation, the region enjoys a Mediterranean growing climate with more than 2,400 hours of sunshine, little rainfall, and extreme temperature changes between day and night. The Duero River provides both a water supply and a moderating affect on temperatures. The soils are a mixture of chalk, clay, and rocky textures. Cepa 21 was formed by José and his brother Javier in 2007 with the goal of providing approachable fruit forward wines representing both quality and value. And like the Emilio Moro Bodegas, all the Tinto Fino (Tempranillo) wines are made using the family's unique Emilo Moro clone. 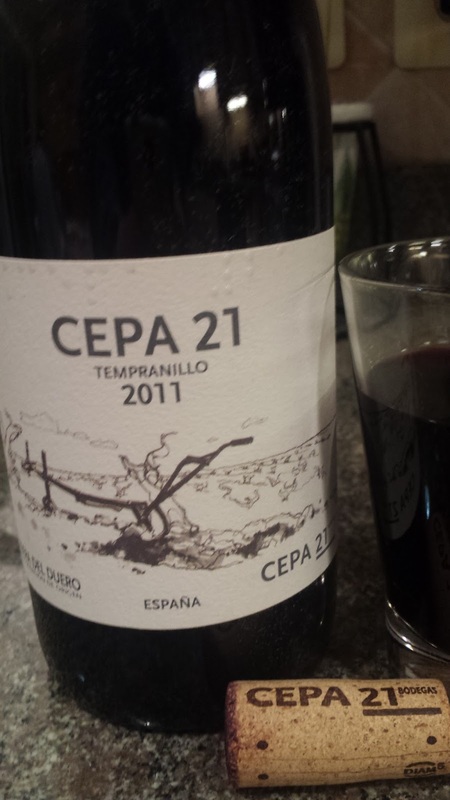 Cepa 21 utilizes three vineyards: The Vega, The Hillsides, and The Plateau. The later has the highest elevation at 2,625+ feet and is the source for two of the wines we sampled: the Cepa 21 and Malabrigo. 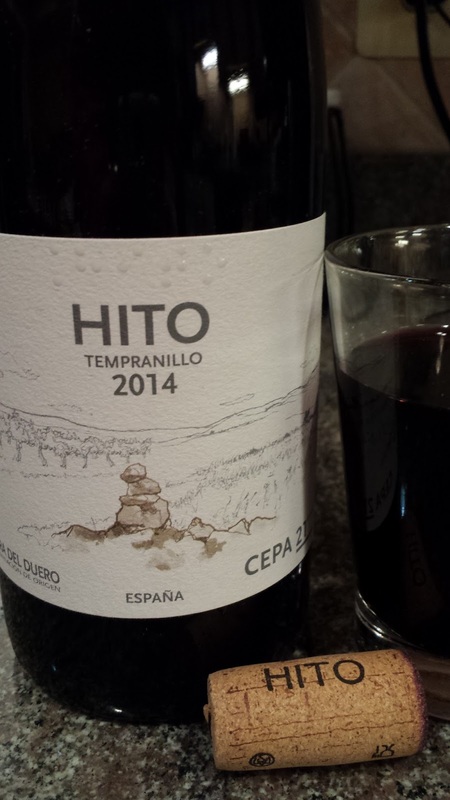 Hito 2014 ($16) (hito means milestone) - aged 8 months in American and French oak; jammy and juicy blackberries, licorice, with solid acids and tannin. This wine nails the winery's goal to provide high quality and value. Malabrigo 2011 ($70) - harvested from a single vineyard and aged 18 months in oak; integrated dark fruit, sweet texture, structured tannins. The label expresses Moro's memories of winter pruning and sitting sown afterwards admiring the vineyard. What this wine requires in price, it returns in delicious quality. The most interesting aspect is the delicate sweetness on the palate which blends seamlessly into the creamy texture. Quite an exceptional wine. 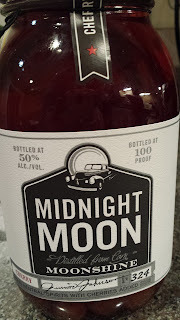 I generally avoid flavored spirits, but last week I was drawn to the Midnight Moon Moonshine section at the local ABC store and decided to try their Cherry Shine ($24). Perhaps it was memories of sipping Hungarian Bonbon meggy likőr. The spirit is produced by North Carolina's Piedmont Distillers, Inc. and according to their website "is inspired by Junior Johnson’s legendary moonshine recipe". As a reminder, Johnson was a moonshine and NASCAR legend who transitioned from running moonshine to auto racing. In between her served time for his illegal activities but was eventually pardoned by President Reagan. In 2007 Johnson became part owner of Piedmont Distillers with founder Joe Michalek. Piedmont distills in traditional copper pot stills and the base spirit for the Midnight Moonshine Cherry is made from a corn mash cut to 100 proof with filtered water. The only flavoring comes from real cherries added to the mason jar. This is a strong whiskey, not necessarily hot, but nevertheless strong at 50% alcohol. There's a little heat on the nose but the sour cherries ease the heat on the palate providing a tart and slightly sweet profile. And it's pleasantly sweet and tart, not syrupy. All in all it's rather addicting -- particularly the soaked cherries. Wines from Turkey are getting more play in the U.S. market and one of these producers is Vinkara. This winery focuses on indigenous grapes grown on their estate in Central Anatolia, a region some consider the birthplace of wine. 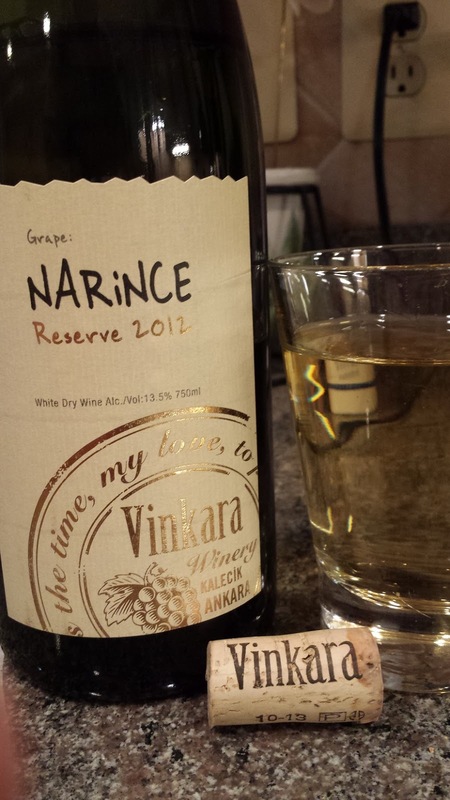 According to Vinkara's website, wine residue has been dated to the Hittites who lived in the region 15,000 years ago. And auxiliary evidence is that there are 1,200 indigenous grape varieties from Central Anatolia. The Gürsel family began operations in 2003 with Marco Monchiero an Italian Oenologist, joining the team in 2008. The winery's Central Anatolia estate is specifically located in the Kizhrmak River Basin near the village of Kalecik. At 2,000 feet above seal level, there is plenty of nighttime cooling to retain acids, little rainfall and sandy and limestone soils. This property quite obviously focuses on Kalecik Karasi, a red wine grape which originated in the area. A second indigenous grape they produce is the white wine grape Narince which originated from the Tokat region to the north. The Erbaa region within the Tokat province has a similar altitude as Kalecik with porous sandy and clay soils. The winery sent me to of these wines to sample and in general were quite pleasing. The downside is that they are both on the high SRP side for a Turkish wine but worth a look for the adventurous. Narince Reserve 2012 ($27, 13.5%) - aged for 14 months in on lees in small Burgundy barrels and then aged a further six months in bottle before release. The nose is very floral followed by a creamy grapefruit profile, some minerals, and decent acids. 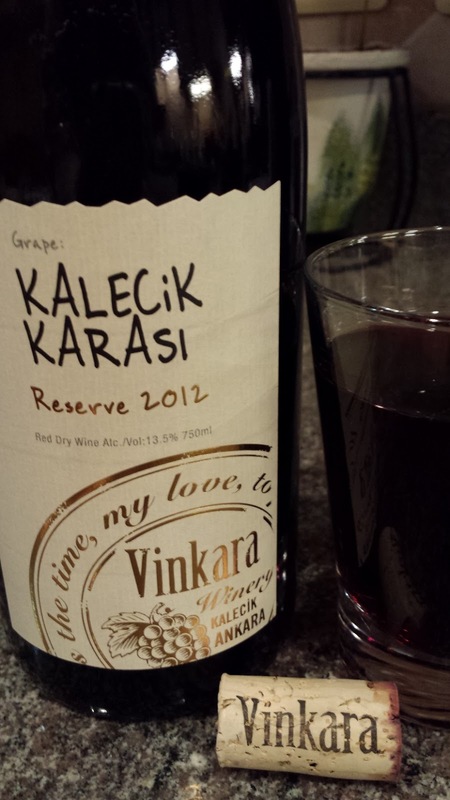 Kalecik Karasi Reserve 2012 ($25, 13.5%) - also aged for 14 months in on lees in small Burgundy barrels and then aged a further six months in bottle before release. The wine is very fruit forward, with an herbaceous cough drop like cherry flavor. But I use that descriptor in a positive way. The tail is easy and approachable.